This is a replacement light bulb for the Donegan Visor Light that is great for use with Optivisor Magnifiers (not included). 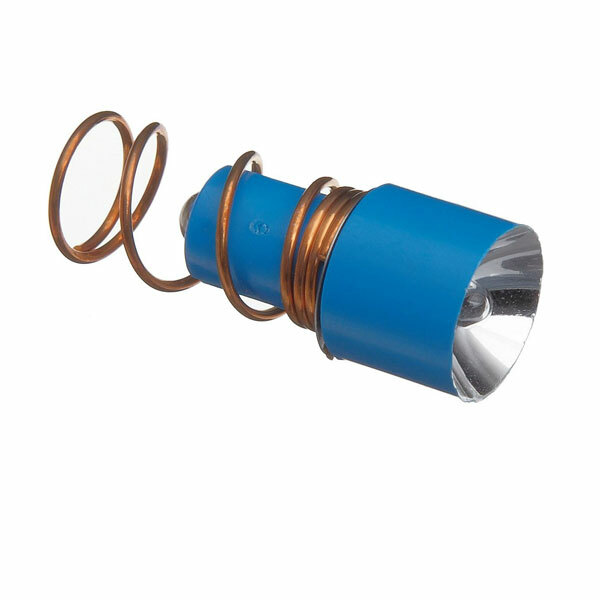 The light bulb provides Xenon laser beam light with 6000 candle power, adjusts up and down to assure maximum lighting where required, has low energy consumption for hours of use, is moisture, temperature, shock and pressure resistant, and is lightweight and portable. 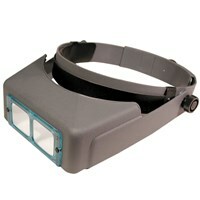 The Visor Light and Optivisor Magnifiers are sold separately. 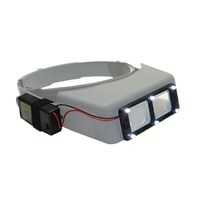 Sold separately, the Donegan Visor Light is a lightweight battery-powered light that illuminates the viewing area magnified by a binocular magnifier. 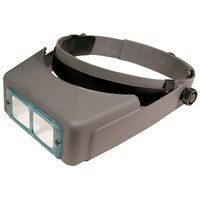 It easily clips onto the visor of most headband binocular magnifiers. The light adjusts up or down to ensure that maximum light is on the work area. 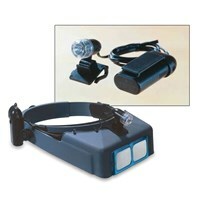 Two Donegan Visor Light models are sold separately and are available to allow for complete mounting. Item 608542 (mfg item LT-42) has a 42-in. long cord so the battery pack can be worn on a belt or placed in a pocket. Item 6005806 (mfg item LT-06) has a 10-in. cord for mounting on a headband.